Headstone stone maker: Thos New Gorey. In loving memory of John Correll [ late of Camolin ] and his wife Mary Keough Correll and their children James, Charles, Henry, William & John Robert. 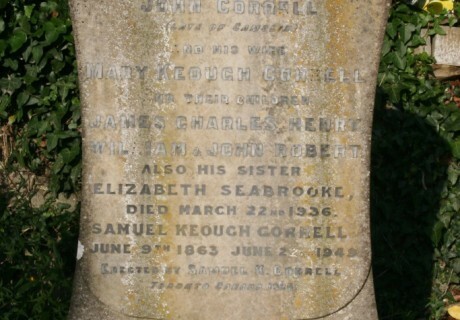 Also his sister Elizabeth Seabrooke died March 22nd 1936. 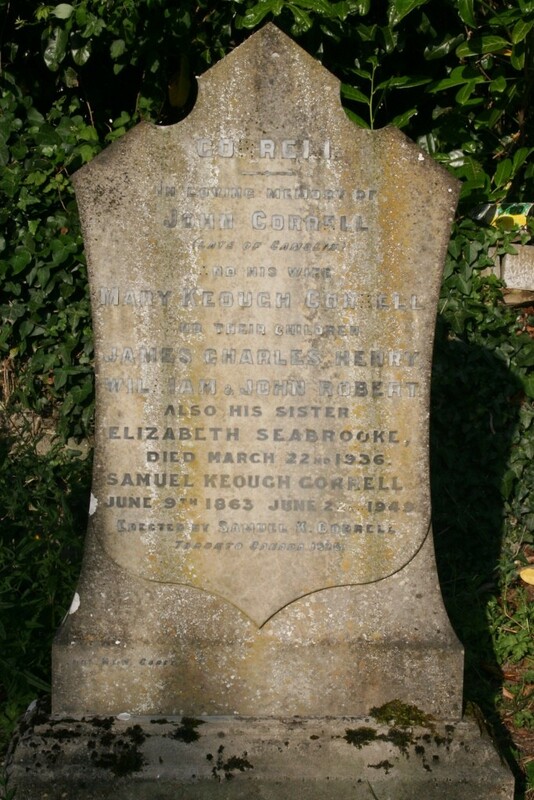 Samuel Keough Correll June 9th 1863 -- June 22nd 1949. Erected by Samuel K. Correll Toronto, Canada 1926.